San Diego Civic Organist at the Spreckels Organ. 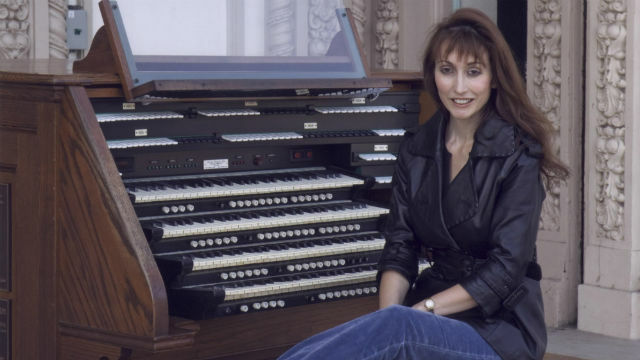 San Diego Civic Organist Carol Williams is hosting a special benefit concert on New Year’s Day at the Spreckels Organ Pavilion in Balboa Park. The concert from 2 p.m. to 3 p.m. is free to residents and visitors and will benefit and raise awareness for REINS, a local nonprofit committed to providing physical and emotional therapy to disabled children and adults through the use of carefully-supervised horseback riding. During the concert, guests will be encouraged to make contributions via boxes placed throughout the pavilion. All proceeds will support REINS therapeutic horseback riding programs. A New Year’s wish wall, where guests can write down their hopes for the coming year, will be located in the pavilion. Williams is a passionate equestrian and supporter of REINS. The Fallbrook-based organization currently helps 200 children and adults from San Diego, Orange and Riverside counties each week.